St. Sophia’s Forgotten Felines’ shelter facility in Westmont only houses 12-15 adult cats at any given time. We partner with local pet stores to house our cats so that they can be visited by the public. Seeing as most of our cats are in foster homes, adoptions are either scheduled in advance for during the week (evening appointments), or held at our adoption events on weekends. If there’s a specific cat that you’re interested in, please call, text, or email us so that we can let you know where the cat is. If a cat is in one of our store locations, you can visit it at any time during normal store operating hours. If the cat is in a foster home, we will need at least 24 hours notice to arrange for a meeting (most often at our shelter in Westmont). We do not house our kittens in pet stores or at our shelter — they are too little to be in with the big cats, and often drive the big kitties crazy with all their playful antics. 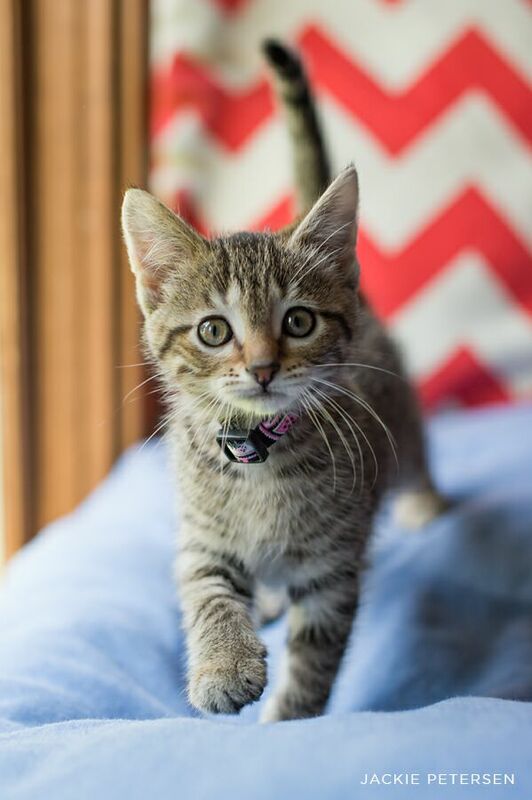 Our kittens are brought out on the weekends for our adoption events, or can be seen by appointment. Visit the our new adoption center.